I’m a natural-born shopper, so when I asked the Tokyo Plaza Hotel staff where should I go shopping, and they said “Asakusa” without hesitation, I figured they were right and I was overdue for a shopping spree. After all, retail therapy is fabulous for breakups, they say! 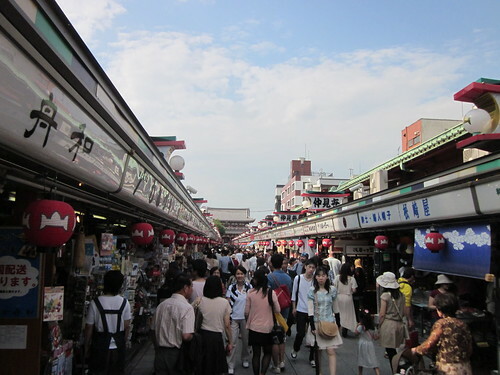 For most of the twentieth century, Asakusa was the major entertainment district in Tokyo. The rokku or “Sixth District” was in particular famous as a theater district, featuring famous cinemas such as the Denkikan. The golden years of Asakusa are vividly portrayed in Yasunari Kawabata’s novel The Scarlet Gang of Asakusa (1930; English translation, 2005). The area was heavily damaged by US bombing raids during World War II, particularly the March 1945 firebombing of Tokyo. The area was rebuilt after the war, but has now been surpassed by Shinjuku and other colorful areas in the city, in its role as a pleasure district. Of course, while shopping was the main target, I did get a chance to visit the Sensō-ji, an anciest Buddhist temple, located also right besides the Asakusa Shrine. While I am not any more knowledgeable about Japanese religious history (something I did read about years ago), I felt a strange connection to the temples I visited. 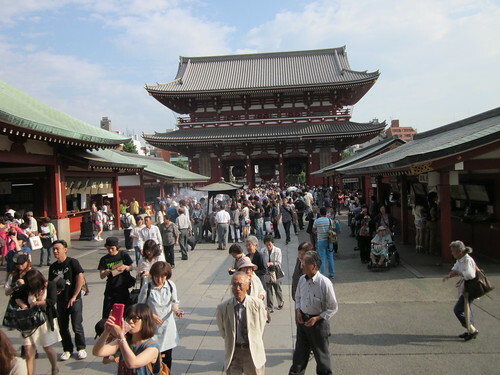 Overall, I really enjoyed shopping in Asakusa and visiting the temple and shrine. I really think Japan deserves a more thorough visit and I will have to come back soon (well, as soon as next year, 2014). 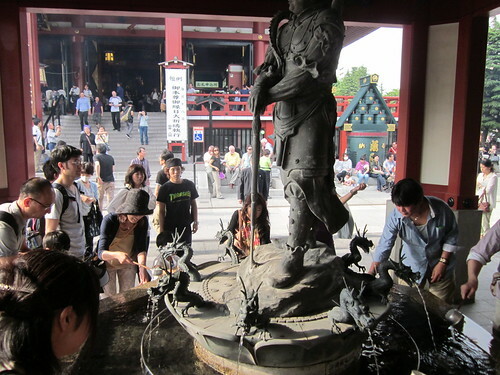 If you like Asakusa you’ll have to go to Kyoto and visit the temples there.